If the total for your morning Starbucks run looks a bit higher, don't worry -- you're not just imagining things in your pre-caffeine haze. Instead, there's a chance your favorite drink will actually cost more, thanks to another price hike from the coffee giant coming next week. Starbucks revealed its plans for a price increase in a statement on Friday, saying customers can expect a "small price increase on select beverages" beginning on July 12th. However, when reached via email on Tuesday morning, a Starbucks spokesperson declined to offer any further details, including exactly which menu items will be affected and how much more they'll cost. But it's more than safe to say your crazy off-menu "rainbow drinks" will still set you back at least five bucks. The price hike announcement appears to come as the result of a "system error" that prematurely rolled out the new, increased prices to the company's point-of-sale systems (registers) at its US stores. There's a chance that some customers were overcharged by as much as 30 cents by mistake, according to the statement. 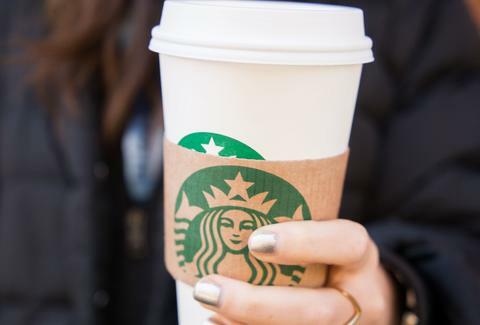 As you may recall, Starbucks implemented a small price increase on mostly hot drinks -- like brewed coffee -- only a year ago. We'll keep you updated as we find out more, of course. In the meantime, enjoy your overly-caffeinated ignorant bliss. Starbucks revealed specifics on the price increases in a brief statement released on Tuesday morning, saying about a third of the drinks on its menus will see a "small price adjustment" depending on where you are. Specifically, the price of your brewed coffee will go up by 10 to 20 cents, while the price of your espresso based drinks and tea lattes will go up by 10 to 30 cents. Starbucks said the average customer will end up paying about 1% more with the increases, which are already in effect. Tony Merevick is Cities News Editor at Thrillist and wonders how this will affect the secret menu "rainbow drinks" maniacs on Instagram. Send news tips to news@thrillist.com and follow him on Twitter @tonymerevick.